All the world’s a mall in this totally awesome mix of Shakespeare and John Hughes… It’s 1985 and the brand new Arden Mall is hosting a high school dance. Bookworm babe Rosalind wants to go with varsity wrestler Orlando, but she’s never had the guts to talk to him. Rosalind disguises herself as a frat dude named Corey and learns Orlando’s true feelings for her. But things get tricky when “Corey” complicates the lives of three other couples at Arden. Rosalind will do anything to get Orlando, even if it means showing up at the dance as both herself and Corey. Filled with memorable tunes, a hip sense of humor, pure joy and a huge heart, it all works out LIKE YOU LIKE IT if you take the biggest risk of all: being yourself. Available now from Broadway Records! Notable productions, readings and concerts: New York Musical Theatre Festival, 2004; Broadway Workshop Children’s Musical Theatre Festival, 2011; The Gallery Players, 2008; Village Theatre Kidstage, 2015; Theatre Under the Stars/Sam Houston State University, 2007; Dos Pueblos High School, 2011; Cardiff International Festival of Musical Theatre, 2006; The Altamont School, 2008; New York University, 2003; Western Michigan University, 2011; Western Kentucky University, 2010. 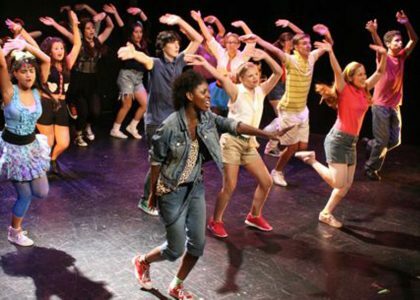 Developed at the BMI Lehman Engel Musical Theatre Workshop, ASCAP Workshop and The Dramatists Guild Fellowship. The cast of the Broadway Workshop Children’s Musical Theatre production of Like You Like It (photo by Holli Matze). The cast of the Dos Pueblos High school production of Like You Like It. The cast of the Cardiff International Festival production of Like You Like It (photo by Dan Acquisto). Patti Murin and Alison Luff in the studio for the Like You Like It RADcording (photo by Rebecca Woodman Taylor). 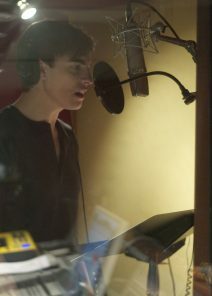 Derek Klena in the studio for the Like You Like It RADcording (photo by Rebecca Woodman Taylor). 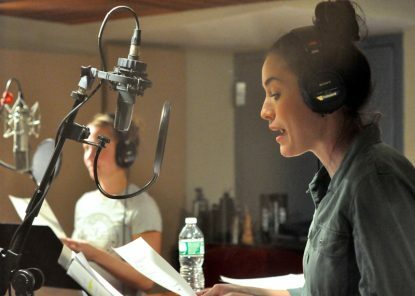 Robin De Jesus in the studio for the Like You Like It RADcording (photo by Rebecca Woodman Taylor). Lesli Margherita in the studio for the Like You Like It RADcording (photo by Rebecca Woodman Taylor). Nkrumah Gatling, Briana Resa and Grace Marie Walton in the TUTS/SHSU production of Like You Like It (photo by Judy Moyes). Adrian Pena and Kristina Teschner in the NYU production of Like You Like It (photo by Chianan Yen). 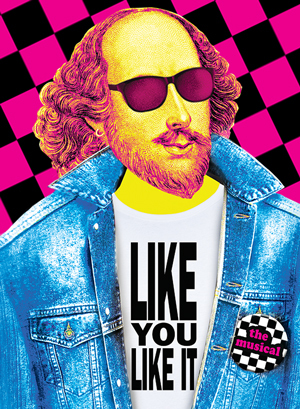 Rebecca Dealy, Rich Connelly, Carly Vernon, Jennifer Blood, Lance Olds, Lena Moy-Borgen, Elisabeth Ness and Roy Flores in The Gallery Players production of Like You Like It. 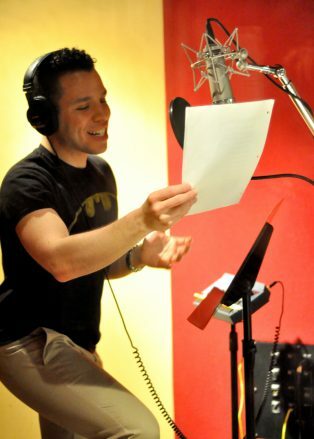 (photo by Jennifer Maufrais Kelly). IF SHAKESPEARE WERE ALIVE TODAY, HE WOULD HAVE WRITTEN LIKE THIS. Doesn’t your Dad’s credit card have a limit? It’s not a limit. It’s a challenge.